A company is appealing an order from the Fair Work Commission to rehire a woman they sacked for vomiting at a work function. A COMPANY forced to rehire a woman they sacked for vomiting and allegedly sexually propositioning Sydney Opera House staff is appealing an order to reinstate her position. The woman, a project administrator for an electrical company contracted to install lighting to part of the Opera House, got so drunk at a farewell drinks she vomited at the bar. She was also accused of sexually propositioning an Opera House employee and insulting staff at the night out in July last year. She had to be helped to a taxi as her night came to an end, and said she'd "never being so drunk in my life". The company, Ryan Wilks, sacked the manager for breaching their internal "code of conduct" after quizzing the manager on what happened in meetings about alleged "misconduct". The woman, who news.com.au has chosen not to name, denied the initial allegations that she sexually propositioned an Opera House employee, and verbally abused other staff at the farewell drinks. She also contested the amount of wine that she threw up, claiming it was only a "small amount of regurgitated wine". The woman described the case against her by Ryan Wilks as untruthful, and said her claims for reinstatement were to "have her name cleared, in what she described as heinous allegations". The woman was sacked after she got drunk at a work-related function in July of last year. She launched a complaint to the Fair Work Commission against Ryan Wilks, and provided "extensive written submissions" and a slew of other materials to support the case for her reinstatement, according to Fair Work documents. She claimed she'd been kept in the dark about the extent of the allegations and had been unable to defend herself fully, saying there was no real reason for her to have been sacked. The woman claimed she had been treated differently and unfairly compared to other staff, who she asserted had both been more drunk than her and been "sexually provocative" at other staff drinks. She also complained that she wasn't told about who had complained about her drunkenness on the night. In the claim, she made an assertion that the real reason that she was being sacked was that she was a "whistleblower". These claims were denied by the company. The manager further claimed that Ryan Wilks' investigative processes, that led to her being sacked, were inadequate. Fair Work Commissioner Ian Cambridge ordered that Ryan Wilks rehire the woman and called her sacking harsh, unjust and unreasonable. But the company said they're appealing the decision. "The company relies on its code of conduct as to expected standards of behaviour for its employees," Ryan Wilks told the ABC via a statement. "As the appeal is yet to be determined, the company is not able to make any further comment at this stage". In the original submissions Ryan Wilks claimed reinstating the woman was not an option. They claimed the woman's conduct on the night had caused "serious damage to the relationship" between both parties. While the woman was attending a function out of hours, her employer also argued that it reflected poorly on her workplace. This is because, according to Ryan Wilks, it happened with colleagues and people associated with work, close by her workplace. The leaving do took place at the Opera Bar and then moved on to the Portside Bar downstairs. Mr Cambridge, the Commissioner, said employees need to take care, as they could increasingly be judged by management while at work functions outside of work hours. 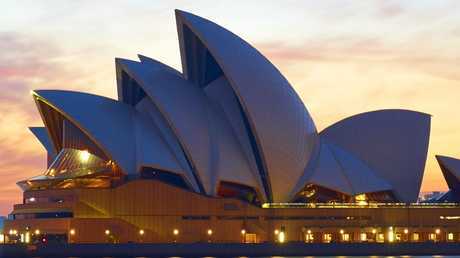 "The employer was understandably concerned that the misconduct of the applicant at the farewell drinks function might have some impact upon the renewal of its contract with its major client, the Sydney Opera House. "Consequently, in this instance, there would seem to be sound basis for the employer to have implemented some form of disciplinary action in respect to the misconduct of the applicant associated with her drunkenness," he said. He said getting drunk, without aggression or being abusive, a single time at a work event does not add up to misconduct that can lead to dismissal. It was also noted in the case that the woman had an unblemished record before the drunken incident.